No more a rumour. Microsoft is finally admitting that is not going to continue manufacturing its Kinect 3d, depth camera. Since its introduction in November 2010 Microsoft sold around 35 million units of its Microsoft’s Kinect for Xbox 360 becoming the fastest-selling consumer device back in 2011 according to the Guinness World Records. Since introduced, the Kinect become a preferred tool for developers creating body motion experiences that tracked body poses and movement by sensing the depth. The technology behind the original Microsoft Kinect was developed by the Israeli based PrimeSense, a company that was subsequently acquired by Apple in 2013. Interesting to note that the core of Apple’s newest iPhone X is basically the miniaturized version of PrimeSense’s original technology. According to recent announcements, Microsoft will continue supporting Kinect for customers on Xbox, but ongoing developer tools remain unclear. Microsoft shared the news with Co.Design in exclusive interviews with Alex Kipman, creator of the Kinect, and Matthew Lapsen, GM of Xbox Devices Marketing as stated in Mark Wilson’s post. Furthermore, according to this post, Kinect’s team of specialists have gone on to build essential Microsoft technologies, including the Cortana voice assistant, the Windows Hello biometric facial ID system, and a context-aware user interface for the future that Microsoft dubs Gaze, Gesture, and Voice (GGV). Launched in 2010 with a $500 million marketing campaign, the Kinect painted a room with a multitude of invisible, infrared dots, mapping it in 3D space and allowing unprecedented tracking of the human body. The Kinect seemed perfect for getting gamers off the couch. Why press a button to duck, when you can just duck? It also enabled handy voice commands, when they worked, like “Xbox On” to turn on the Xbox One console. It is not an exaggeration to say that Kinect has been the single most influential, or at least prescient, piece of hardware outside of the iPhone. Technologically, it was the first consumer-grade device to ship with machine learning at its core, according to Microsoft. Functionally, it’s been mimicked, too. Since 2010, Apple introduced the Siri voice assistant copying the speak-to-control functions of Kinect, and Google started its own 3D tracking system, called Project Tango (which was founded and continues to be led by Johnny Lee, who helped on the original Kinect). Vision and voice systems have become nearly ubiquitous in smartphones, and they’re gradually taking over homes, too. Take Amazon Echo bringing voice assistants to our grandparents’ living rooms–or the newer, Echo Show upping the ante by adding a camera to Alexa. Even the networked Nest Cam owes a debt to the Kinect being first through the gate, and taking the brunt of criticism on a whole new era of privacy concerns. But Levin, and other researchers like him, adored the Kinect for its forward-looking technologies. 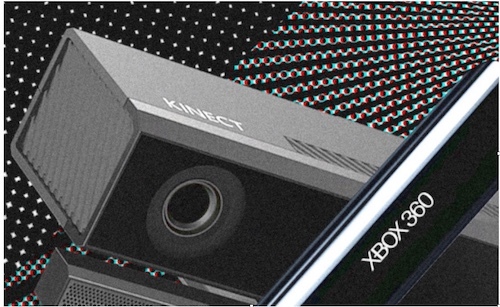 “The important thing about Kinect is it showed you could have an inexpensive depth camera. And it supported the development of thousands of applications that used depth sensing,” Levin says. He points out that it was literally Microsoft Kinect hardware that made it possible for a startup like Faceshift to exist. Built to perform extremely 3D tracking of the human face that’s suitable for biometric security, Apple acquired Faceshift to replace its thumbprint scans. And, as stated before, to take advantage of the technology, Apple essentially built a Kinect clone right into the iPhone X, having acquired PrimeSense in 2013, the Israeli company that developed 3D tracking technology that Microsoft licensed for the first Kinect. But the depth cameras are here to stay. Companies such as Lusens, 4dHealthScience and others have found ways of developing their own 3d body motion tracking technology which along with AI driven software allowed them creating most amazing, engaging and mesmerizing applications. Over time, it got a lot better. It began to see more–from a mere 50-degree field of view, to 80 degrees, to 120 degrees in the V4 sensor used in the Hololens. It also, crucially, began to use less power: from 50W, to 25W, to a 1.5W peak today.